Today at 3 p.m. Pope Francis will arrive at the Kaunas Cathedral Basilica of the Apostles Saints Peter and Paul for a meeting with Catholic priests, men and women of consecrated life, deacons and seminarians living in the three Baltic countries of Lithuania, Latvia and Estonia. The heart of the encounter will be a Liturgy of the Word with the Holy Father, and its highpoint – the words that the Pope addresses to those who are gathered. Prayers while awaiting Pope Francis will include the Annunciation Akathist to the Theotokos – one of the Church’s most beautiful hymns to the Mother of God and a meditation on the entire history of salvation. The choir for the encounter consists of religious and priests from many parts of Lithuania: Druskininkai, Telšiai, Kretinga, Panevėžys and Vilnius. 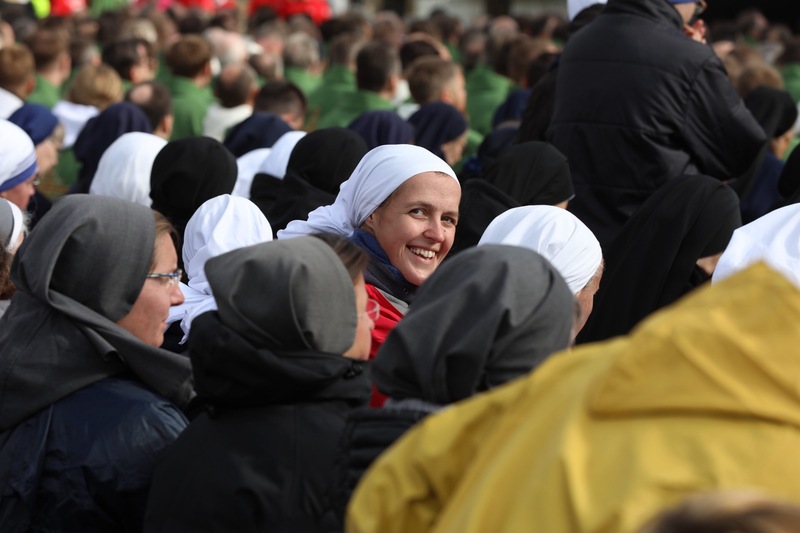 It is unique in joining priests and men and women religious of varied congregations to all sing together, thus bearing witness to their common vocation and unity with each other. The choir’s goal is to engage all those gathered in song and prayer so that the encounter might be a true experience of common prayer. On arriving, the Holy Father will pray in the Chapel of the Blessed Sacrament before moving to the central nave of the cathedral and addressing all those present. At the end of the encounter, before departing, he will impart his blessing to all the participants. In Lithuania there are currently 42 religious orders/congregations for women, 14 religious orders/congregations for men, 2 secular institutes, and 2 conferences of religious superiors.